We are a small group who have been inspired by wonderful sensations. We want to share our experience with those who have not been fortunate enough to come across them. Everything we have involved ourselves in is only because we love them and feel our lives enriched by them. oenophilia; ee-no-fil-ee-ə; Greek for the love (philia) of wine (oinos)) is a love of wine. In the strictest sense, oenophilia describes a disciplined devotion to wine, accompanying strict traditions of consumption and appreciation. We love wine, we love the taste, the smell, the way it makes you feel. We love the culture, how and why it is made and with such passion. We are a small simple wine merchant wanting to make finding and choosing wine easier for you. We cannot see without it, how powerful yet how easily it is taken for granted? From 6 years experience of being at the coal-face of the lighting industry amongst a plethora of cultures, a passion of this phenomenon stirs the soul and so we endeavour to share with you our passion for raw beautiful lighting the way it should be. However, if you join us for a glass or a bite, we love the company and welcome you to stay for a while longer! 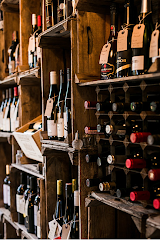 We have an extensive wine list including an array of wine by the glass along with a rotating selection available to taste, these alter regularly so come and try something new.